“Kiss the Joy: The Story of Joan Lind Van Blom,” a documentary film directed and produced by Jean Strauss, will premiere at the Newport Beach Film Festival at 5:45 p.m. on Saturday, April 28 in the Lido Theatre, 3459 Via Lido, Newport Beach. Van Blom was the first U.S. woman to win an Olympic medal in women's sculling. The rowing champion also worked for 35 years in the Long Beach Unified School District as a physical education teacher and curriculum leader. A second screening is scheduled for 7:45 p.m. Thursday, May 3 at Edwards Big Newport, 300 Newport Center Drive, Newport Beach. Learn more and purchase tickets at newportbeachfilmfest.com. The film was produced in conjunction with USRowing (usrowing.org) and the National Rowing Foundation. 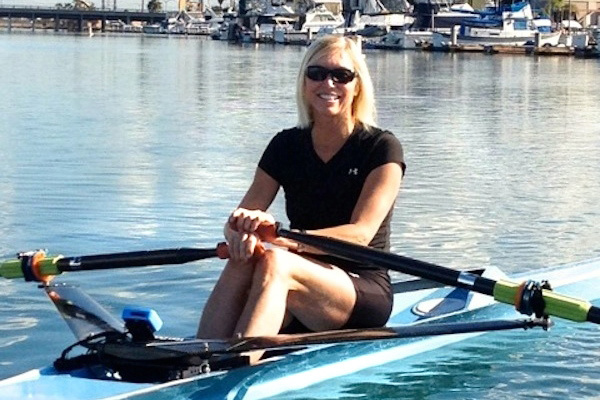 The NRF established the Joan Lind Van Blom Women's Sculling Endowment in 2015. The endowment was created to honor Joan's memory and support women's sculling in the United States at the national and international level. To support U.S. women’s sculling, go to natrowing.org/Joan.